If you are a fan of open wheel racing in the northeast, then you are familiar with the last name Payne. That name has been carried on for decades and the tradition will yet again continue this year with Joey Payne III debuting a new chassis in 2018! They say the more things change the more they stay the same, and that could not be further from the truth when discussing Joey’s newly purchased Linblad Badger Chassis. Badger Chassis and the Payne family go together like peas in a pod, with much of the family’s successes in this division of racing have come while running these particular chassis. When Payne III wanted to get involved with TQ racing years back, he wanted to race a Badger, particularly one owned by Carl Thomas. Late on time and short one luck, Joey unfortunately missed out on the chance to purchase the car he always wanted. His luck changed this current off season back in November when the fund became available as well as that very badger from over 15 years ago became available. Currently, Joey Payne III is hard at work preparing the “race car of his dreams.” Speaking of luck, he hopes this is a sign of things to come. JPIII has clearly not given up and is determined to put together a strong showing this year to rebuild and recreate some of the magic he experienced racing TQ’s in 2016 and in other racing divisions throughout his career. 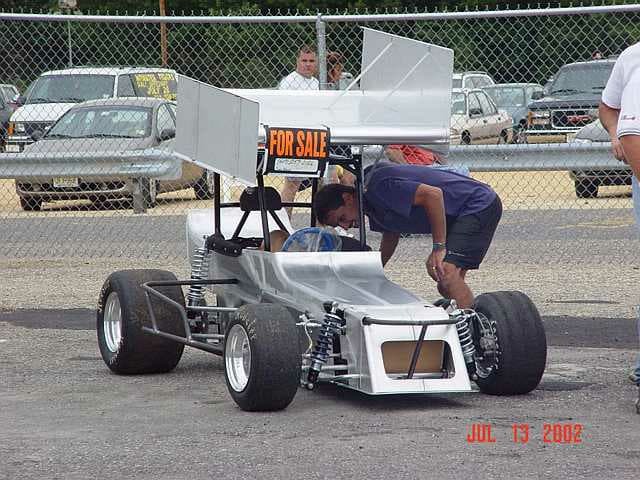 The American Three Quarter Midget Racing Association (ATQMRA) Inc. was founded in 1956, giving structure and organization to a group of racing hobbyists who had been racing their “T.Q. Midgets” informally since 1950. The ATQMRA has continued sanctioning outdoor summer races and indoor winter races since its founding, growing to be the best and most name recognizable T.Q. Midget organization in the country. The 2018 ATQMRA season begins Saturday, April 21st at Mahoning Valley Speedway, PA.